‘Game of Thrones’ Season Two Premiere Receives Huge Ratings!!! ‘Brace Yourself”. Huge ratings are coming. 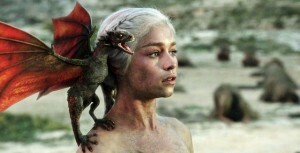 HBO premiered their second season of ‘Game of Thrones’ to large ratings. HBO aired the second season premiere three times on Sunday and got a total of 6.3 million viewers. The first airing got 3.9 million viewers alone. This was up 74% from the first season premiere episode and up 27% from the first season finale. This is huge news and much congratulations to everyone on ‘Game of Thrones’. With these ratings and huge increase, I expect HBO to give a season 3 order to ‘Game of Thrones’ this week. Great news. Who’s looking forward to Sunday’s episode? And what did you think about last week’s episode? This entry was posted on Tuesday, April 3rd, 2012 at 11:12 am	and is filed under News, Television. You can follow any responses to this entry through the RSS 2.0 feed. You can skip to the end and leave a response. Pinging is currently not allowed. « The International Trailer For ‘ParaNorman’ Is Creepy Good!! !